Interests - Lennon loves pop up books and 'that's not my ...' books. He likes watching Cbeebies and yo gabba gabba. He also likes animals, water (swimming, baths and showers), wind, being outside, ribbons, lights, vibrations, anything shiny, mirrors, and anything that smells. Lennon was born 12 weeks premature. He was transferred to Chelsea and Westminster when he was 2 days old, for 6 weeks, as he needed an oscillating ventilator. During this time he had respiratory failure, a suspected bleed on the brain and a severe kidney infection which resulted in him only having one functioning kidney. He was transferred back to our local hospital only to suffer respiratory failure again. We were told by our local consultant that Lennon would be ventilator dependant and we waited for a bed at GOS for further tests. On arriving at GOS, Lennon had cardiac surgery and came off the ventilator. We were transferred back to our local and then went home. Lennon then suffered respiratory failure again, and in the 6 days he was at home we resuscitated him 3 times. He was re-admitted and transferred back to intensive care at GOS. This happened again only the next month. Lennon came home when he was 9 months old, with 24 hour oxygen and a gastrostomy, as Lennon has no swallow. We had quite a stable period at home, with lots of outpatient appointments at GOS, (Lennon is under 11 of the teams at GOS), and lots of therapy at home. Lennon is immuno-compromised so we very rarely take him out in busy places. Just before Lennon’s second birthday, his bowel begun to fail. He became severely constipated, despite all the medication he was taking for it and he begun being sick every time we fed him. Lennon’s stomach could only hold 50 mls of milk in one feed, so we were feeding him every 2 hours. It came to a head on Christmas Eve and Lennon was admitted to our local hospital to give his bowel a rest. He went onto iv fluids and was closely monitored due to his chronic kidney failure. We failed to restart feeds again and were transferred to GOS. After a lot of tests and investigations, Lennon was diagnosed with Intestinal Pseudo obstruction and Eosinophilic enteritis. We went back to our local on TPN and waited for a bed on the Gastro ward. Whilst waiting, Lennon got a line infection, and then RSV, and was transferred to intensive care at Addenbrookes. When he first arrived, we were again told to prepare for the worst. If Lennon deteriorated further, he would not survive. And in true Lennon style, 2 weeks later he surprised everyone and was taken out of ICU. We finally got a bed on the gastro ward at GOS and Lennon was given a gastro-jejunostomy feeding tube and slowly came off TPN and onto a 24 hour jejunal feed with his gastrostomy on free drainage to clear all the green bile and air he was producing. We came home again in April 2009, on oxygen and this time with a 24 hour feed running into his jejunal tube. Since then, we have been in and out of hospital for procedures and tests as Lennon developed Hypo-glycaemia while he was on TPN and as yet they cannot find the cause for this, so Lennon remains on a 24 hour feed. If Lennon’s health deteriorates in any way then he has to be admitted too. He has had various Genetic tests, most have come back negative and we are still awaiting results from the last test for Schinzel-Geidion syndrome. Lennon attends outpatient appointments at GOS almost every week. And now goes to nursery at a SLD school, which he loves! His current diagnoses are Chronic lung disease, Pulmonary hypertension, growth hormone deficient, he has growth hormone injections, Hypo-glycaemia, Intestinal Pseudo obstruction and Eosinophilic enteritis, severely deaf, chronic kidney failure, hypo-tonia, Reflux, E-coli, central apnea, sagittal synostosis, dysphagia, failure to thrive. Lennon has no communication, he cannot walk, but he has just started to pull himself forward on his tummy! He is such a happy boy and very rarely gets upset. 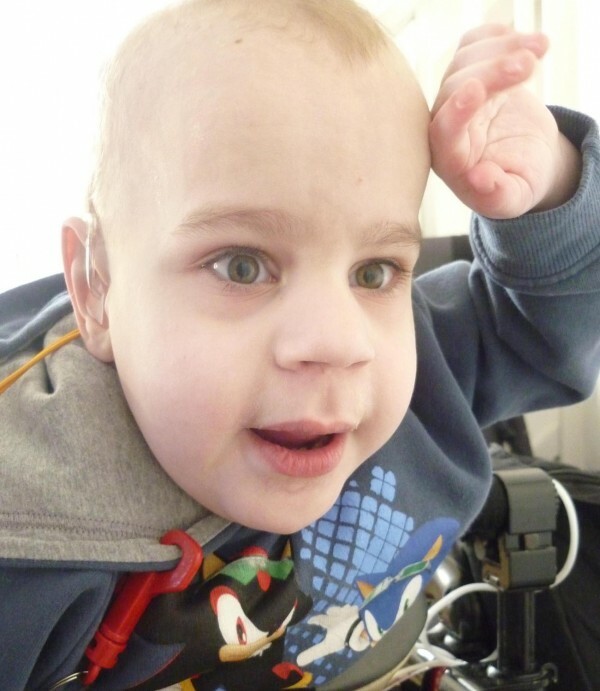 Everyone who meets Lennon instantly likes and remembers him – he is well known for being a happy and endearing boy. He is the apple of his Mummy, Daddy and sister’s eye. We would like to move Lennon on from Post Pals as he hasn’t been admitted to hospital for over a year now, and we feel that other children would benefit much more. It has been a pleasure to have been part of such an amazing charity, and all the post we have had has been greatly received by Lennon and Isla. Thank you and all the best. I will continue to send post to the other Pals too. After a quiet few months, comes a busy few months! Lennon was admitted to Great Ormond Street in March as his jejunostomy stoma was prolapsing. The surgeon managed to sort it out fairly quickly in theatre so it was a short stay. Since then, it has begun to prolapse again. The surgeon believes it is due to the muscle behind the stoma wasting away. So he has decided to admit Lennon for major surgery some time in May. He will do a laparotomy and have to revise the small bowel, and then sort out the jejunostomy. We are anticipating a 4-5 weeks stay. Lennon’s Picc line split last week and had to be removed, so the surgeon will also insert a port a cath whilst Lennon is in theatre. So, with no Picc line we have been able to go swimming which Lennon loved! He is so confident in the water, even after 18 months without being able to swim. And it means we don’t have to be so cautious in the bath and he can splash and get as wet as he wants. And have showers again! Unfortunately, this all means that we have had to cancel our trip to euro Disney. Both Isla and Lennon are devastated that we can’t go now. Thank you to everyone that has sent post to us and especially to all those who have brought gifts for Lennon and Isla. Thanks also to Dottie for all the letters she sends, they both look forward to reading what she has been up to! I’d like to say a massive THANK YOU!! This is to everyone that sent Christmas post to Lennon and Isla. We had so many gifts that they were allowed to open 1 Post Pals parcel every day on the run up to Christmas Day. We are amazed at the generosity of people. Both Lennon and Isla loved every single present they opened and were both keep busy with all the contents. A special thank you to the Sandwell Academy who sent Lennon and Isla build a bears each and a huge box of presents and cards for them both. Isla thought Santa had come early, she was so excited! Thank you so much everyone. Also, thank you to everyone who sent post for Lennon’s birthday. He had a really good day. The school allowed me to stay for the day with him which was lovely. We took Lennon and Isla ice skating and to have tea with Santa, which they both loved. We also went on the Santa express train and to see a pantomime. Lennon has had a good winter so far. Lots of out patients appointments, but no stays! His surgeon has decided that it is now time to perform surgery on Lennon’s undeveloped testicles, but will kindly do it in the same anaesthetic as his next endoscopy, along with a hearing test, and maybe more grommets. Lennon’s renal consultant is now thinking about catheterising him. Lennon has had bad bugs in his bladder for 3 years now, and they are all antibiotic resistant now. His last 2 ultrasounds show that he is not emptying his bladder and there is a lot of debris in his bladder. She is worried about the effect it will have on his one kidney and impaired renal function. We will know more at his next appointment. She also made a very interesting observation about the fact that Lennon’s body has a problem with emptying. His bowel, bladder, mouth, stomach and the back of his ear drum don’t empty properly, so she will look into this. Lennon also has an emergency appointment with Gastro at the beginning of next month, as he has stopped putting on weight again and his stomach has been bleeding every day since mid December. Lennon is still whizzing around in his walking frame and when he last went to stay at the hospice, all the staff were so amazed to see how much he had changed since he has been walking – what a little character he has become! Lennon is now whizzing around in his new walking frame! Thank you to everyone that helped us to raise the money we needed to buy it. It has already made a huge difference to us all. Lennon is much more interactive now he is upright at home. He is free to go where he wants and it is so lovely to have him following me around! Lennon loves to chase Isla and grab her hair! Winter is here now and we are trying to keep Lennon out of hospital. So far, so good. His weight has stayed the same for the past 14 weeks and his potassium levels are getting lower every week, but he has remained relatively well. He is really enjoying school and is now part of the school choir. He can now walk around the school to all his classes. His favourite lesson is Dance and he runs down to the dance studio and then has to be dragged back to nursery afterwards! We are also waiting for Lennon’s new bed to arrive. He already has a specially made bed, but he has begun to climb up and throw himself over the side head first on to the floor, scaring the life out of me and his dad. We now watch him on a video monitor when he is in bed. The new bed will stop him from being able to climb out and hurt himself. We are looking forward to Lennon’s birthday, we have booked for him and Isla to go ice skating and have tea with Santa and to hopefully go to the London aquarium as Lennon loves fish and water. Thank you to everyone that has sent us post and thank you for the Halloween parcels. Both Lennon and Isla had great fun with the parcels from Post Pals and the monthly project parcels. Also, a massive thank you for the balloons, Lennon and Isla were so surprised when they opened their boxes to find balloons flying out of the box! Sorry it’s been so long since my last update. Time goes so quick and I have a rubbish memory. Lennon was admitted for his picc line insertion in February. It took them 3 attempts to get the line in, so they are hoping it lasts! Lennon now has his weekly bloods taken at home which is so much better for him. They have been up and down and we are constantly changing the doses of all his supplements to keep them with in normal ranges for him. With the weather getting better in April, Lennon’s health began to pick up, he put weight on and his blood sugars stabled out. He was taken off the TPN list for the time being, but they will continue to keep a close eye on him, especially with the weather now getting colder again. We were given a free holiday, unfortunately Lennon wasn’t able to come. We took Isla and Lennon went to stay at the hospice. She had a great time and was spoilt rotten. Lennon loves staying at hospice, and was also spoilt by all the nurses. We came back to find him covered in paint and cake mixture! We’ve had a few scares with the Jej tube, but I am now allowed to change them myself at home, which has saved a lot of hospital trips. Lennon has remained relatively well through the summer. He has had a lot of infections. Strep A seems to be hanging around and becoming hard to shift, like the e-coli. And candida has also been a regular visitor. As always, Lennon takes it all in his stride and doesn’t seem to be too affected by them all. School have been really pleased with his progress. His communication has improved slightly and he is much more interactive. He has also learnt to walk using a walking frame! This is a major milestone in Lennon’s life. We were always told that Lennon would never be able to walk because of his muscle tone. When he turned 3, it took 3 people to support him enough to stand up. The frame has a hip support, saddle and chest support and it means that Lennon is finally free to go where he wants. Leave a door open and he is through it! It is so nice to see him playing with Isla and her friends. We were able to borrow the schools frame during the holidays, but have had to return it. County are unable to fund a frame for Lennon to have at home, so we are raising the money ourselves. I can’t bear to see him have his new found freedom taken away from him. Thank you to everyone that sends post. Lennon and Isla both love receiving their post and hearing your news and stories. They have loved all the postcards this summer. And when the party bag from Dottie Dalmatian arrived, we had our own little party with Ziggy, our Dalmatian. Lennon and Isla even made cakes and we played party games. Post Pals has become a huge part of our lives and I cannot thank them and you enough for making my children smile, even through the tough times. We managed to keep Lennon at home over Christmas! It was only his second Christmas at home, and both he and Isla really enjoyed themselves. I’ve never so many cards and presents! It was hard to keep a track of what was being opened, so I am truly sorry if I leave anyone out on my list of thank you’s at the end. We still had to take Lennon to the hospital twice a week for bloods to be taken. His bloods have been up and down, and we have started him back on supplements again to hopefully stop them from dropping. On New Years day Lennon’s Jej tube blocked again, so we spent a very stressful 10 hours at our local waiting for GOS to decide what they wanted to do about it. Because it was a holiday, there were on skeletal staff, with few free beds. The doctors at our local tried all day to get cannula’s in, they had about 15 attempts with no luck. By late afternoon, Lennon’s blood sugars began to drop. I managed to persuade the surgical SHO at GOS to find him a bed and admit him, on the promise that all we needed was a bed and a tube. And if it came to it, I would change the tube myself! So 6pm that night, we were blue lighted to GOS. Lennon really enjoyed it! The Registrar first tried to unblock the tube. Then removed it and inserted a new one. We left there at 11.30pm. We managed to get a last minute appointment with the gastro team at GOS. They wanted to see him as he had lost 0.4kg in just 5 days. We explained everything that had been happening over the last few weeks to the registrar. She thinks that Lennon’s gut dysmotility has got a lot worse, and that his small bowel is now refluxing back into his stomach. She says that he needs to be on TPN now. So, the plan is for Lennon to be admitted for a picc line as soon as possible. Then we wait for the home TPN training. We have known since Lennon’s last Gastro admission that it would only be a matter of time before Lennon needed to be on TPN permanently. So we were always prepared for this happening but it doesn’t really make it any easier. The reg agreed that it is a difficult decision to make. We have decided that Lennon deserves quality of life for his last years, over quantity. We want him to be happy and pain free and not to be restricted to his feed pump 24hrs. Also, it is thought that if the pressure is off of Lennon’s bowel, he may learn to walk and want to sit up unaided in his chair. We just want our little boy to have the best years possible. The risks are high – liver failure, line infections. The pro’s far out weigh the cons though. Ian and I both feel a little defeated that we lost the battle of the bowel. But we keep reminding ourselves – as a family, we have all won the battle. Lennon wasn’t expected to survive 2 days, let alone 4 years. He is a gift that has been sent to us, and we will do all we can for him to enjoy his short life and be as well as he possibly can be. On to the thank you’s! Thank you to Leona for your amazing reindeer letters. We read one a day on the lead up to Christmas. I was so impressed with them; I have kept them in their envelopes for next Christmas too. Also for the cards you sent to Lennon and Isla. To Mary for the stockings you sent to Lennon and Isla, and the rolling stamps. Kate Dee for Lennon’s elf box, he took so long to open it because he had to play with all the toys before opening the next present! Juno, Sarah G, Curly, Susan, Mike, Amethyst, Breeze and Izzy the dog and anyone else who sent Lennon and Isla Christmas cards. To Adam for last month’s monthly project, we loved the books, especially the family book! To Jenny for all your cards and recipe. Isla and Lennon love to bake on a Saturday afternoon and your fudge is on the list of things to make. Claire for your lovely handmade cards. Dottie Dalmatian, for all your letters and postcards. We love receiving the letters; we all love the photos too. I put them all together to make a book with them as Isla loves reading them over and over again. To Penny for Lennon’s ribbon box, he loves it. It always comes to the hospital with us. I am adding to it every time I go to the fabric stall. Thank you to Brianna and Marissa for the homemade card. Sorry if there is anyone I have missed. There were so many cards and presents over Christmas, it was so hard to keep up with them all. And lastly a huge thank you to Post Pals. You have made such a difference to all of our lives. It is amazing that just one card can make such a difference to Lennon and Isla’s day. And through you, I have made some lovely friends, who truly understand what it is like to have a poorly child and all the trials and tribulations that come with it. Sorry it’s been a while since my last update. Lennon has been in and out of hospital over the last month. We had to keep turning his feed off as he seemed to be in a lot of pain with it running. He was looking very grey and not very responsive, even at school. We knew he was not well. At the end of November we went to GOS to see Lennon’s renal consultant, dietician and his metabolic doctor. We got the results of all the metabolic tests Lennon had done. They all came back normal. We are of course really pleased that Lennon has none of these awful metabolic conditions, but the big blow is that we will most likely never know the cause or root of all Lennon’s problem. This is extremely upsetting for me. I have spent all of Lennon’s life trying to get to an overall diagnosis – I have become almost obsessed! I feel that it is the least that Lennon deserves after all his been through in his short life. I simply can not accept that there is not a cause for all Lennon’s problems. We then saw the renal doctor. Lennon was weighed and has lost 1.5kg in the last 3weeks. Lennon now weighs in at a tiny 11kg. Both the dietician and renal doctor put it down to his gut malabsorping. The following day I rang the Gastro team, and the registrar seemed understandably worried and managed to make us an appointment with Lennon’s consultant. Lennon’s renal consultant then rang me at home to inform me that Lennon’s blood results were not good. His sodium, potassium, phosphate levels were dangerously low and he was alkalotic. Lennon was admitted to our local. They needed to get iv access to give him much needed fluids and to give him the supplements that he so desperately needed. Over the course of the night, the doctors had 13 attempts to canulate Lennon. None of which were successful. Luckily they did manage to get a blood sample, which confirmed what we already knew. Lister had lengthy talks with Renal and Gastro at GOS to decide what to do. It was decided to give Lennon a huge dose of salt – the biggest dose Lennon’s local consultant had ever given to a child. Give him potassium supplement, and replace all his gastric loses ml for ml with iv sodium chloride into his jej tube. The main decision to be made was that Lennon is under no circumstances to have any kind of central line put in (this would make taking blood and giving fluids much easier). The doctors have all agreed that this could be fatal for Lennon. His gut, bladder and urinary tract are full of infections and bad bugs, that will travel internally straight to the line. Similar to what happened when he last had a hickman line. And that they would not consider TPN at this point. Mainly because he would need a central line for this, and because they are so worried about his gut. They want us to keep using it, no matter how rubbish it is, as they feel it will completely stop working if we give it a rest (unless he continues to loose weight). Unfortunately I spent my 30th Birthday rushing Lennon to A&E at 2.30am after he drained thick brown bile into his gastric bag and was violently sick. But I did manage to persuade them to discharge Lennon the night before his 4th birthday, on the promise that we brought him back for daily bloods. So luckily he got to spend his birthday at home! He wasn’t very well, but we made the most of it. He loved opening all his presents and blowing out his candles! Since then, his bloods have improved, and we are now having twice weekly bloods taken. His gastric looses have got worse and are now quite high, and his stools are very mucusy. He can be in a lot of pain when the feed is running and his blood sugars are all over the place. Endocrine have changed and tinkered with his meds again. We had a mad dash to GOS in the week as Lennon’s Jej tube blocked, but it was quickly changed by the stoma nurses and checked with a contrast x-ray. Lennon managed to get back to school for the Christmas week. He had a great time! He made cakes, a Christmas hat and a candle. He met Santa, and attended his first school Christmas dinner, which he apparently loved, even though he can’t eat! Yet again, a huge list of thank you’s. I am so sorry if there is anyone who I have forgotten. We receive such a lot of post that it is difficult to keep a track of what Lennon and Isla are opening. All post is extremely gratefully received; both of them love all their post! Thank you to Sarah G for all our letters, Sara and Meggie for all Lennon’s monthly projects, and elf box. We are still slowly working our way through the elf box; he is opening one present a day, after he has his injection. Thanks for the birthday cards from Tina, Ruby, Penny and Jenny. To Sarah, Dominic and Gethin for the card and book. To Catherine, Alicia and Nico for the card and pencil. Thank you for all Isla’ Reindeer letters, she has really enjoyed them! To Dottie for all her letters, they really cheer us all up; we love the photos of her out and about! Thanks for Isla’a elf boxes from both the Jackson family and Jill. They have been a godsend when we have been back and forth to the hospital with Lennon. Thank you so much. To Tez for the pop up book and card. To Janet for the toothbrush and fish mobile – the mobile is hanging in Lennon’s room. And thanks for all the Christmas cards we have received, Helen T, Cindy, and the Homberg family in America. Thank you to everyone who takes the time to read Lennon’s updates, it really does mean a lot to us to know that people care about him. The past month or so has flown by. Lennon was discharged from GOS at the end of September. The Parental Nutrition worked wonders and Lennon became a different child when it started, I’ve never seen him have so much energy! It seemed to be just what his bowel needed and after a week it was turned off. The day after they turned it off, Lennon was back up to full feeds and the surgeon decided it was best for Lennon to be at home away from all the germs in hospital, before he caught something. Lennon has a habit of going into hospital, catching things, and ending up sicker! So we went home with a picc line (in case we couldn’t replace all the gastric loses), and a gastrostomy tube and jejunostomy tube, both of which unsecure, much to my horror. We had a few scary moments when the gastrostomy tube slipped out, but thankfully managed to get it back in. And 6 weeks post op they put a button in. So now we just have an unsecure Jej tube for the next 4 months with a 22 hour feed running through it and Lennon rolling all over the place! A week after we were home, we were coping with replacing the gastric losses so they pulled the picc line out. Unfortunately Lennon developed a rather large lump on the site of his jejunostomy tube, which has meant we have been back and forth to GOS more or less every week for them to check it. It was first thought to be an abscess, then a hernia, and now the surgeon thinks it is a collection of granulation around the tube on the inside. Poor Lennon is finding it very uncomfortable and it is still growing. They won’t do anything about it until they can change the tube – another 4 months. Lennon managed to get back to school, which he was ecstatic about! He now has an intervener working with him all day, and gets to spend the lunch hour in the sensory room. We have noticed a big difference in him already; he is much more responsive and sociable. Endocrine have changed all his medications and his blood sugars have been very stable. We are also waiting for the results of the muscle biopsy they took while Lennon was in theatre. They are testing for Mitochondrial disease, smith lemli opitz and CDG. We will hopefully get the results at the end of November. Lennon had a weekend stay at the hospice, which he loved. He makes us laugh when we go to pick him up and he doesn’t want to leave! We have a huge list of thank-you’s! Sara and Meggie for the George toy, Toy Story colouring book and rainbow card. Lennon especially loved the cat wrapping paper! And also for the Halloween gifts, the stars are in Lennon’s sensory cave, and he loves the ghost. Wiggly bags for the bags that they sent which came in handy for keeping the picc line safe. And for the fab drainage bag bags, they are coming in great use and the school loves them. Kate Stone for the lovely card and wiggly bags with Yo Gabba on them, Lennon loves them and has been using them on his gastro tube. Dottie Dalmatian for trusting us with one of her puppies, who the kids have named ‘Zippy’! Kate Dee for the Legoland tickets, we are hopefully going this Sunday. Also for the jewellery you sent Isla, and for Lennon’s windchime and rainmaker. They entertained them both through the long hospital days. 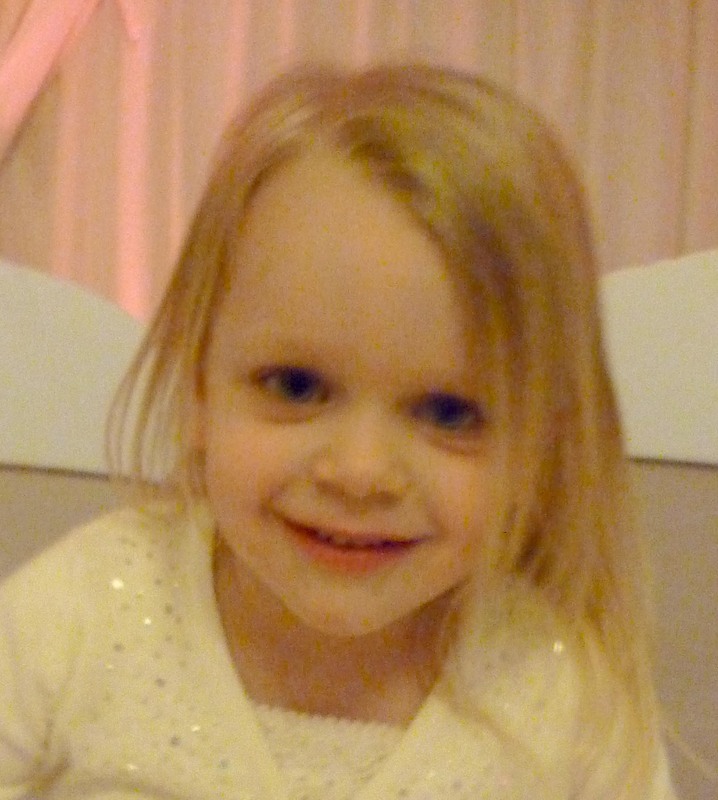 Also for the Gulliver’s land tickets – unfortunately Lennon was unwell, he stayed at the hospice, but Isla had a fab time! And for the Halloween goody bags for Lennon and Isla, they both love them! Lennon loves the spider! The frog card from Emma, postcard and lovely letters from Sarah G. Katy and our friends in the village for the handmade card and for Isla’s colouring set. Ads, Hazel and Savana for all the artwork, handmade card and door sign for Lennon’s room. Emma and John for the card. Steve, Emma, Ben and Harry for the card. Gemma, Darryl, Rhys and Darcy for the card and lovely drawing. And a huge thanks to Gemma, Phoebe and Finlay for the lovely gifts you sent the kids. Lennon loves the bag, I have filled it with all his medical stuff, so it goes everywhere with him. And Isla is slowly learning to play snap with the cards and has demolished the chocolate! Sarah, Benjamin, Oliver and Matthew for the playdoh, Juna for the duck card you sent Isla, she loved it! Donna for the bracelets you made, they are fab, Abby for the cd you made Isla, she loves it and for the lovely letter you wrote, Teresa for the pop up book, Lennon loves it, and Susan Sweeney for the Peppa pig dvd, pink duck and card for Isla, and the george pig and buzz card for Lennon. The dvd has been earmarked for our car trip to GOS this week. And thank you Dominic for the fab light show you brought for Lennon, it is in his bedroom and he loves it! Lennon went down to theatre on Thursday afternoon. He was down there for 3 hours. I went down to get him when he had woken up and was surprised at how chilled out he was! Every other time he has been to theatre he has come back screaming and uncontrollable. He had a Laparotomy to get to his stomach to cut the old tube out and part of his stomach, a new gastrostomy, and a jejunostomy. He had a morphine infusion running – which problem explains why he was so calm! Lennon had a really bad night after surgery. He was in a lot of pain and having a lot of bolus’ of extra morphine on top of what was already being infused. His gastrostomy was on free drainage and draining out a lot of dark green bile – any of my gastro friends will know that this means the bowel has more or less packed up. Friday morning, Lennon sounds really chesty and hasn’t been to the toilet all night. Chest sounds crackly and everyone panics. He is sent down for a chest x-ray, which shows cloudy bases, and the physio comes to give him chest physio, to good effect. He then spikes a temp of 39.3, so it is assumed he may have a chest infection so they change his antibiotics. Then the doctors decide to start some milk in the jejunostomy, running at 56mls/hour. A silly idea after the day he had! Lennon’s bowel agreed this was a bad idea, and after 3 hours the milk appears in the bile bag, so they stopped the milk. Now that the bowel has been stimulated by milk, the bile starts pouring out. Lennon’s stomach becomes distended and hard and he is so much pain. During Saturday night he spiked a temperature again of 39.1, but it came down quite quickly, so the nurses put it down to pain. So, Lennon’s bowel has been left alone for the weekend in the hope that a few days rest is all it needs – after all, he has just had major surgery on what was already a very slow bowel. And Lennon always needs a little extra time to recover from anything. The pain relief team came round to see him and have agreed to see him on their ward round tomorrow morning. They had some ideas of him having stronger pain relief at home, which will hopefully help him sleep and stop him from self harming. He has been draining a lot of air and bile today, but the bile is lighter in colour and not so thick, which hopefully means it is slowly starting to work. Lennon has been really fed up and in a lot of pain. He is still having bolus’ of morphine. He is very unsettled and not looking too well at all. Although was pleased to see his uncle, dad and sister today. He has a HUGE bruise on his head where he has been punching himself. Thank you to everyone who has sent us post in the last few weeks. A massive thank you to Kate, who sent Lennon a bag FULL of Disney stuff, we really can’t thank you enough, we were all so excited empting the parcel!!! Lennon and Isla have both been watching the dvd’s and playing with the toys. Thank you to Alex for the card, ribbon, smellies and mirror. The ribbon is hanging from his bedside light and he loves the smellies! I have a few more parcels to take back to the hospital with me tomorrow too. Just to let you know that Lennon is back in hospital waiting to be transferred to GOS. He received post this morning which really cheered him up, thank you to Jane for the postcard and pictures, to Wendy for the handmade cards, and to Sheelagh for the football doorbell which we have been playing with all morning! Thank you all for making my little soldier smile!